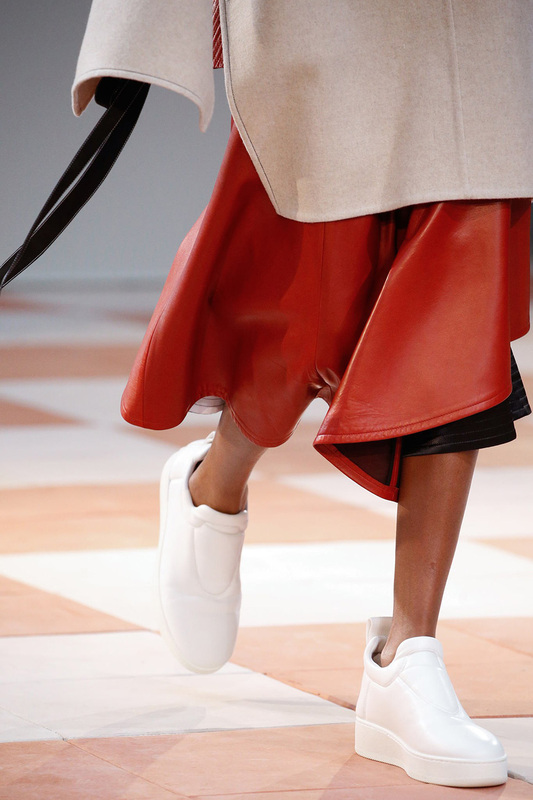 Pull on sneakers in white lamb leather by Céline. Details from Céline FW15 show captured by Gianni Pucci. Image courtesy of Vogue. Totally unaware of his plans, I got Saku a pair of white sneakers for Christmas. And he got me these. 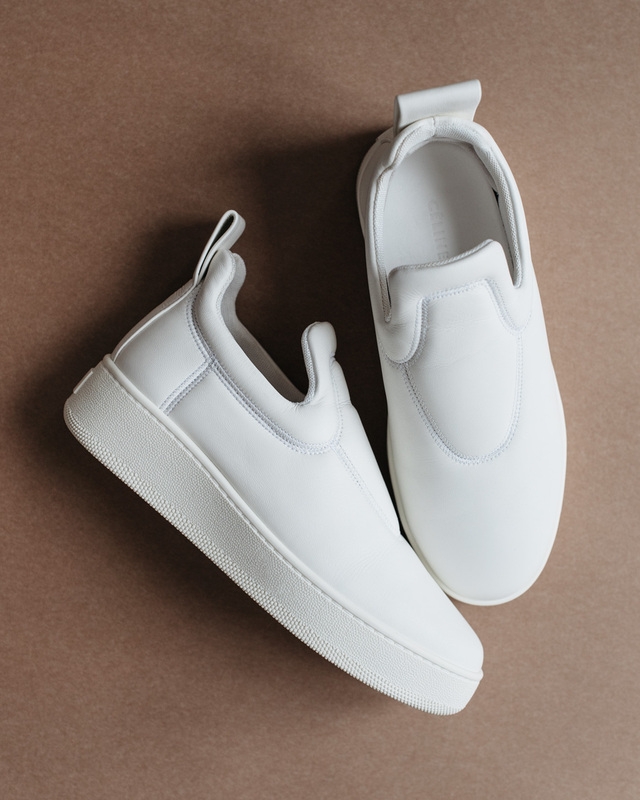 My favorite white sneakers, the pull on style by Céline, that has been in the collection for several seasons already, yet looks and feels as current as when they first launched it. I love the overall direction Céline has taken with their shoe collection. The design focus is where it is supposed to be: in the user experience. That is what you need great designers for. Even the high heels are really comfortable but for me, lately, the most interesting designs are the lower styles. As for the spring wardrobe, I am into clean lines as always, but pieces that are a bit bulky feel most interesting right now. Plus, my beloved wrap coat and white sneakers. I will wear them with anything.